The Foxconn deal could end up costing state taxpayers much more than they thought. MADISON- Wisconsin has already committed up to $3 billion in tax breaks to Foxconn. This deal, which is already getting very expensive for taxpayers, also appears to have some hidden costs. Though it has received little attention, the deal includes provisions which would punish state taxpayers if the company decides to not build. Specifically, if Foxconn pulls out, the state will be responsible for paying for some of the costs of local tax incentives. 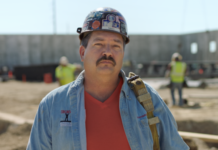 If Foxconn decides to pull out, then Wisconsin taxpayers will be stuck with the bill. Tucked in the multi-billion-dollar subsidy bill to bring a Foxconn Technology Group plant to Wisconsin is an additional potential risk for state taxpayers — covering up to 40% of local tax incentives if the deal goes south. Wisconsin has already committed to up to $3 billion in state tax incentives that could be paid out in cash to Foxconn if the company comes through in creating up to 13,000 jobs, plus another $252 million for work on the Interstate 94 leg south of Milwaukee that would serve the flat screen display plant. Now the state is also committing to backstop the undisclosed but potentially sizable local property tax incentives for Foxconn. In essence, the state would step in if local communities borrow money to build streets and sewers for Foxconn but the factory doesn’t move forward and the communities are left unable to pay their loans.